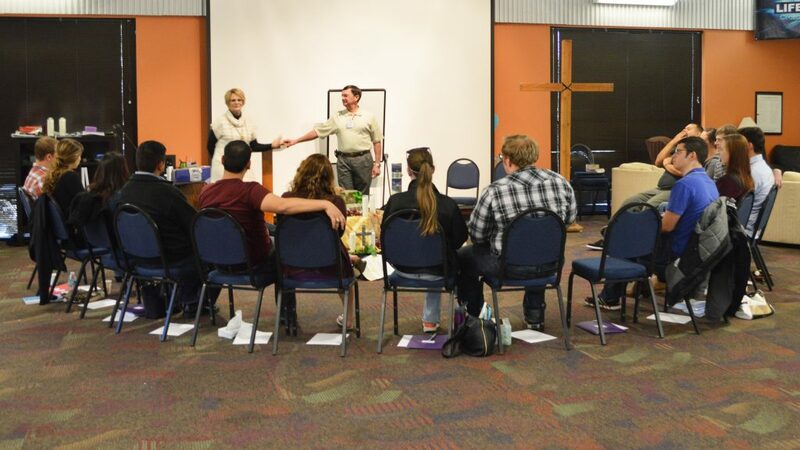 Nourish your faith with our Adult Faith Formation opportunities. 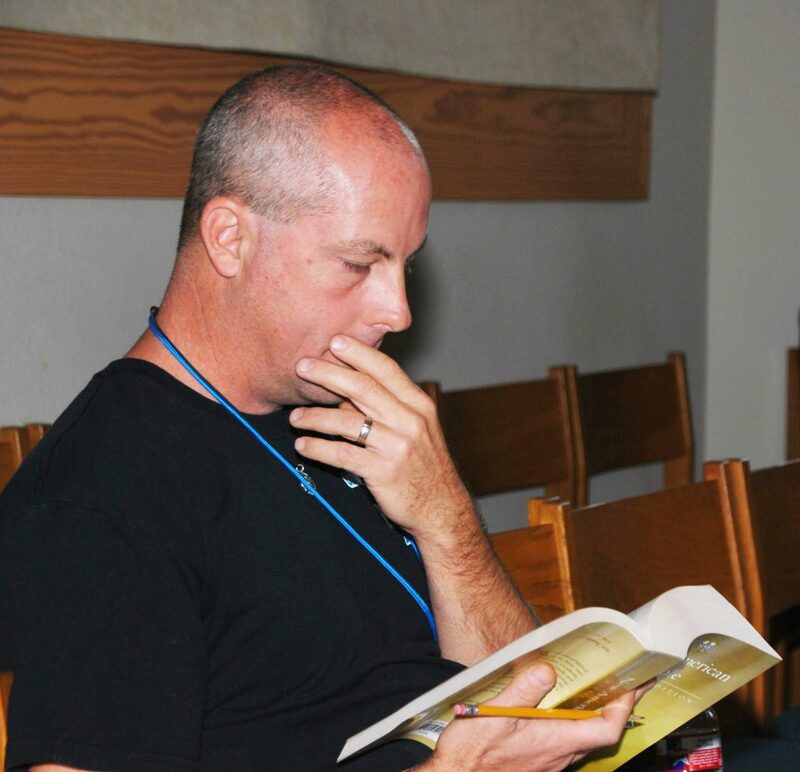 Attend a retreat, join a Bible study, or become part of a Small Church Community. We have prayer groups and seminars for men, women, married couples, single parents, those divorced, those in grief, and those who simply want to learn more about their faith. While your child is participating in faith formation, join us for adult faith formation classes and show by example that you also want to learn more about your faith and grow in a deeper relationship with God. We are glad to offer adult faith formation classes at the following times to coincide with elementary classes beginning on September 9 and 11, 2018. Sunday 10:00-11:00 a.m. – Emmaus Room, San Damiano Bldg. Tuesday 4:30-5:30 p.m – Library, Religious Ed. Bldg. We may be familiar with different aspects of the Catholic Faith … but how does it fit together? And what difference does it make in our lives? To see the schedule of upcoming retreats and complete registration forms, click here. Adult Faith Formation is the continued faith learning of adults of all ages. Though sacraments of initiation have been received, adult faith formation assists adults grow deeper in their love and knowledge of Christ. This is accomplished through various programs, events, and studies throughout the year. Regular Adult Faith Formation sessions occur congruently with our Elementary Faith Formation class schedule: Sundays at 10:00 am, 12:30 pm, 3:45 pm, and Tuesdays at 4:30 pm. Baptism is the first Sacrament of Initiation in the church, through which we die to our old selves, and sin, and rise out of the waters into a new life in Christ Jesus. In the symbols of water, fire (light), oils, and white clothing, the living God comes upon the one Baptized and claims them for God’s own. God says, “This is my beloved son, in whom I am well pleased” (Matthew 3:17). That person is forever marked as a child of God and heir to the kingdom. 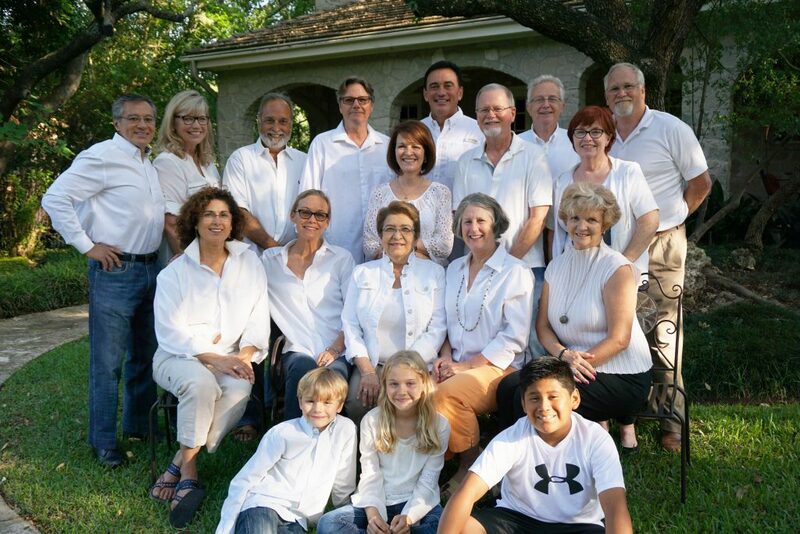 For information on Baptism of a child 7 years old or older, please contact Larry Perry at the parish office: 210.492.4600, Ext. 211. Classes are required for parents and sponsors. 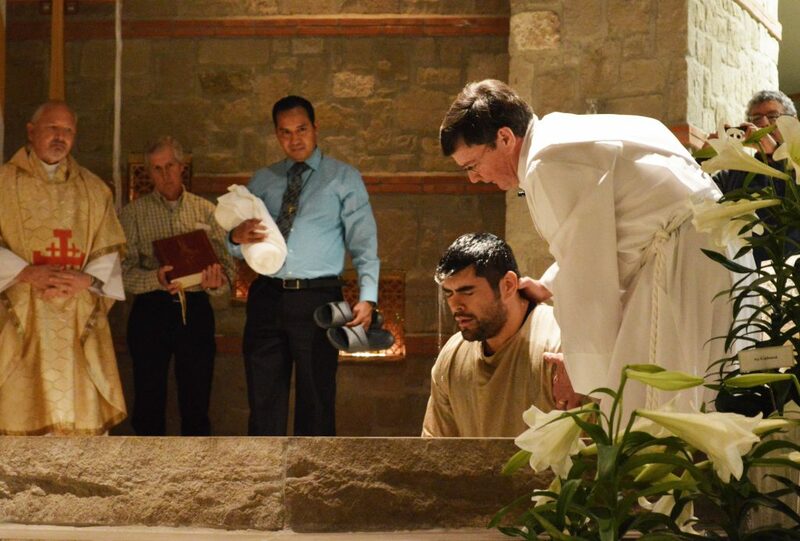 We offer classes for those who plan to have their child baptized at St. Francis of Assisi Church, as well as for parishioners who will be sponsors at another parish. Deacon Jim Hewson organizes these classes. If you wish to contact Deacon Jim, please call the office and we will put you in touch with him. To read more information about baptism preparation, classes, and schedule, please click baptisms. We offer group Bible studies in the fall and in the spring led by a trained facilitator. Each 6-week study focuses on one of the books, writers, or themes found in holy scripture. We are pleased to offer both a Tuesday morning study and a Wednesday evening study to fit any schedule. Beyond Cana® offers the time and tools to enrich and strengthen marriages — with God and His direction for us at the center. This 2½ day retreat is designed to enrich the marriages of couples who want to focus on the communication, respect, love, and intimacy that are so integral to a good marriage. A blend of spiritual and practical talks, reflection, and prayer are combined with useful tools designed to improve communication and your relationship with your spouse — even if it’s good now. All this is done from a Catholic perspective, with an understanding of marriage as a sacrament. Learn more about Beyond Cana here. Has God been calling you to silent prayer? Consider adding contemplative prayer to your prayer life. You’re invited to join either (or both!) of the two Centering Prayer groups that meet at St. Francis. The Wednesday group is continuing to read Open Mind, Open Heart by Thomas Keating, and the Thursday group is beginning a new book titled The Divine Dance: The Trinity and Your Transformation by Richard Rohr. For more information, please contact Karen Jones at kbarj@hotmail.com or call 210. 854. 7818. Endow is an acronym that stands for Educating on the Nature and Dignity of Women. Engage in reading and lively discussion based on course material that combines Catholic teaching, history, and Scripture to explore and understand what it means to be a feminine person created and loved by God. Register online at www.endowonline.org. For more information, please contact Julie Mellin at 210.416.4536 or mellinjulie@hotmail.com. 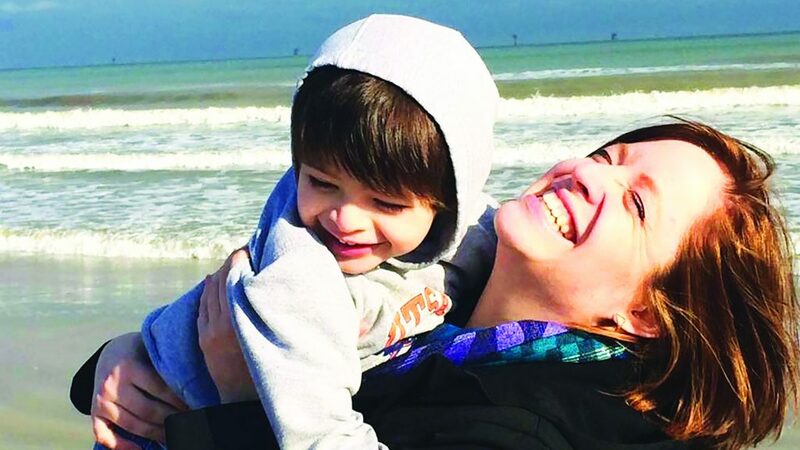 Grief Support Seminar offers a time for healing to those grieving during the holidays. Led by a team who have suffered loss, this seminar series allows attendees to share their experiences and join with others in prayer. Life Beyond Divorce is a four-part series for those who are divorced, in the process of divorce, or remarried and struggling with a past divorce. Each session offers prayer, group discussion, and testimony during a special time of grace and transformation. “Lord, Teach Me To Pray” (LTMTP) is a three-part prayer series, rooted in Ignatian spirituality and designed to help women and men learn how to pray. The three parts are taken in succession. Each part is a prerequisite for the next part. For more information, please contact Nan Balfour at nanbalfour@yahoo.com. Those engaged couples who are associated with St. Francis of Assisi are asked to contact Deacon Mike Portele as soon as engaged; however, it must be a minimum of nine months prior to your expected wedding date. Marriage preparation will be outlined during your meeting with Deacon Mike. A wedding date can only be finalized after all marriage formation is completed. We are embarking on a new journey and invite any man who wishes to learn more about the life in Christ to join us as we gather for prayer, study, and discussion. If you would like to join this group, we will embark in prayer at 7:00 am on the last Saturday of each month. For more information, please contact Ron Kinney @ 210. 913. 8646 or rckinney@hotmail.com. 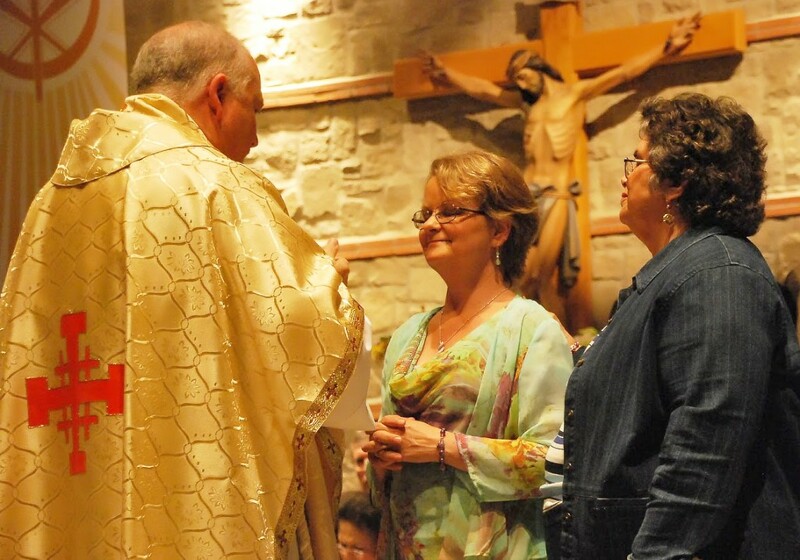 Our RCIA program offers non-Catholic adults, or adults who have yet to complete all their sacraments of initiation, preparation and instruction on joining the Catholic Church. Meetings begin with the 8:30 am Sunday Mass, followed by group discussion and instruction. For more information, contact Sr. Rose Kruppa, CDP, at rkruppa@sfasat.org. Parish Missions in Advent and Lent enrich parishioners’ celebration of these Church seasons. 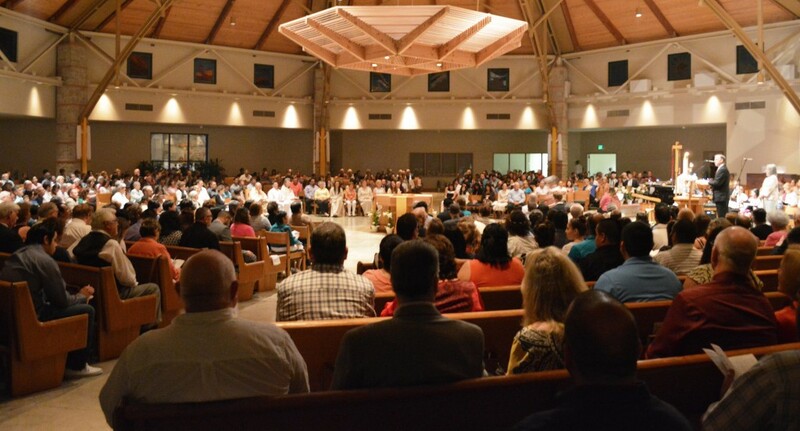 A guest speaker begins the mission during all weekend Masses and continues with a reflection and prayer service for the three following evenings. In response to the Bishops’ call, John Bosio, author of Happy Together: the Catholic Blueprint for a Loving Marriage, and his wife Teri used the materials from his book to develop SIX DATES for Catholic Couples. DATE 1: ONCE UPON A TIME… invites couples to remember how their love story began and how it has a special meaning because it is connected to God’s love story. DATE 2: MARRIAGE IS … explains what we believe about marriage as Catholics. DATE 3: WHAT KEEPS YOU TOGETHER? suggests that it is the goodness they see in each other that keeps husband and wife together. In other words, it is the ability to see God’s image in one another. DATE 4: WHAT ABOUT ME? addresses the problem of selfishness in marriage. DATE 5: THE BLUEPRINT OF LOVE suggests that to overcome selfishness we need to learn to love as Christ loves. The key attributes of Christ’s love are: acceptance, commitment, sacrifice, forgiveness, healing, and service. DATE 6: WHERE DO I FIND THE COURAGE? reminds us that learning to love like Christ loves is difficult. Prayer and God’s grace can help us endure the challenges we encounter in our married life. For single parents to know that they have a place in our Church and in our parish. For single parents to pray and reflect on scripture together and find community through a common experience. For single parents to participate more fully in our parish, through social and service events. Are a single parent, with a child aged infancy to adult. Are looking for community, support, and friendship in your parenting journey. Are interested in a regular time of prayer and reflection. Are interested in attending social events, with and without your children. Small Church Communities (SCCs) are groups of parishioners who meet regularly to study weekly Scripture readings, share their faith, and discuss God’s invitations to service and action. 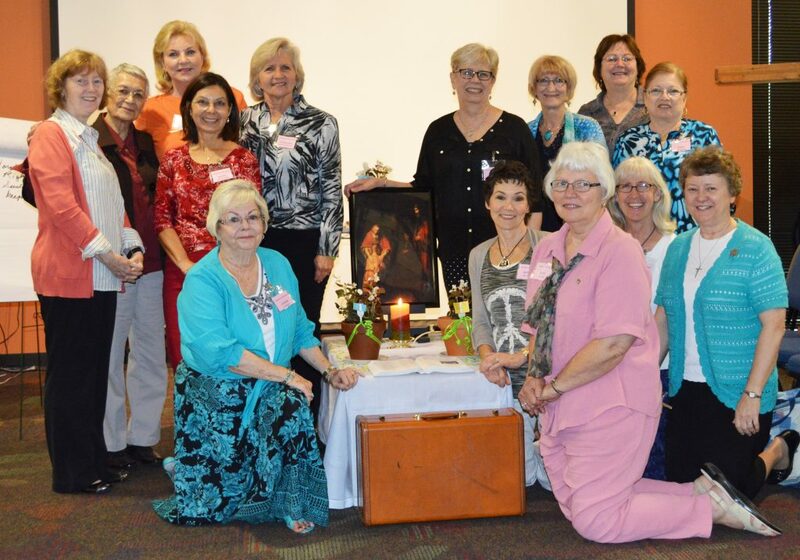 Groups often are formed by parishioners with a shared experience such as an ACTS retreat or the RCIA process. 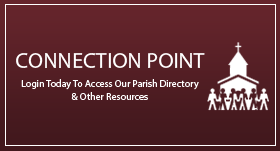 Contact Larry Perry in the parish office for more information. Theology Café is a series of seminars held on three Wednesday evenings each month. 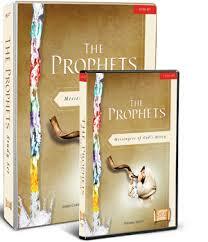 In each series, a speaker offers his or her expertise on a specific topic of faith. 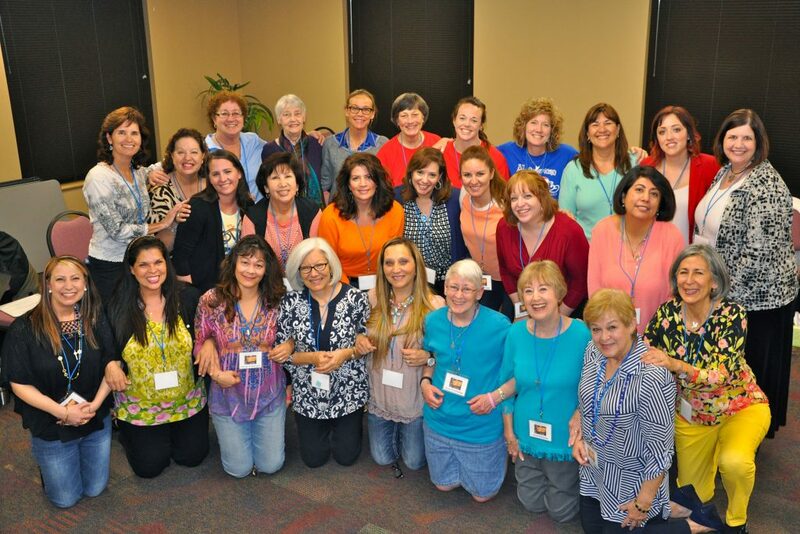 Our Women in the Spirit sessions meet on the first Wednesday of the month from 9:30 am – 11:30 am in the John Paul II Room from September through May. We study different writers of Catholic spirituality each year and meet for prayer and discussion. Registration is $20. For more information, please contact Lorraine Bedingfield at raineybed@gmail.com or Gloria Lopresti at jloglo@gmail.com. Who is a young adult? The definition varies depending on who you ask. Some young adults are in college, some have graduated, some are single, and some are married with children. This makes young adults key players in the future of the Church. 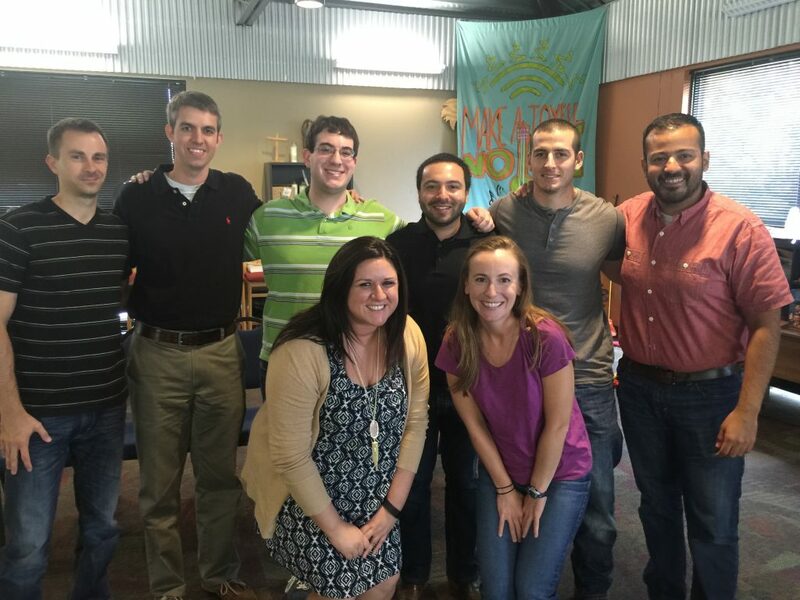 The St. Francis Young Adult Ministry seeks to create, maintain, and nurture a place in the parish community where young adults will enter together more deeply into the life of Jesus Christ and the Church. The group meets on the first and third Wednesday of each month, volunteers with St. Francis of Assisi’s Mobile Loaves & Fishes ministry on the third Saturday of each month, and has at least one social event a month. The group is open for all young adults in their early twenties to late thirties. Keep up to date with everything going on in the group by joining the group in the parish app, the Facebook page at facebook.com/groups/sfayoungadult, or email Larry Perry at lperry@sfasat.org.